Dr Monique Beedles is Principal Strategy Advisor at Teak Yew. With a PhD in Corporate Strategy and experience with some of Australia’s leading organisations, Dr Beedles advises companies on generating and sustaining growth. Asset Management, as the basis of capacity for growth, is an important part of Monique’s practice. With over 14 years of board experience, Monique understands the strategic imperatives from a board perspective and brings this insight to her Asset Management work. Tom is the CEO and Director of the Institute of Quality Asset Management and a working group member of PC251, the ISO Technical Committee for development of the ISO 55000/1/2 suite of International Asset Management Standards. Tom has more than 30 years professional experience in asset management, training, regulatory compliance and auditing, development and review of regulatory compliance frameworks, benchmarking, strategic planning, operations and maintenance, engineering, risk and emergency management and program management. He has worked for utilities, regulatory agencies, service industries, industry associations and government agencies and think tanks, and has consulted to regulators and central government agencies, and utility, mining, health and child care, food, chemical and oil industries. Tom has a BE in Civil Engineering, Graduate Certificate in Asset Managament and Master of Engineering in Systems. He has been a certified trainer for over six years. I have over 30 years experience in the Mining industry and have worked extensively in the fields of Maintenance, Operations, Major Projects and Asset Management. I hold a Masters in Business and Engineering Asset Management from UWA, am a Certified Fellow in Asset Management and a Certified Assessor.I am a Director on the Board of the Asset Management Council of Australia and the World Partners in Asset Management and a member of the Global Forum in Maintenance & Asset Management. I am also a representative on the Australian Technical committee for the ISO Standard for Asset Management. Specialties: Asset Management & Maintenance. As a strategic Asset Management lead in the Solutions & Technology team at Jacobs, I bring more than 20 years’ experience working as the asset steward and with asset owners to develop strategic solutions to asset management challenges and opportunities. I am currently on the Board of the Asset Management Council, and I previously led the development and management of network and asset strategy for the Asset Standards Authority (ASA) within Transport for NSW. In my role at the ASA I was tasked with developing and maintaining engineering assurance frameworks that reflect a whole of asset life approach across the $130B asset base and growth programs. I also led the development of the Asset Management Framework (AMF) and Governance Structure for Transport for NSW. Before joining the ASA I was responsible for the overall strategic approach and direction of the $1.1B Sydney Trains Asset Maintenance Program, and prior to that the strategy and prioritisation of the RailCorp $350M Track, Civil and Stations maintenance programs. Whilst at RailCorp, I developed and documented the Asset Management and Corridor Plans for the Sydney Metropolitan rail network. Glenn Ingram is a Senior Manager of Business Improvement & Asset Management at Rio Tinto and previously the Head of Asset Management Newcrest Mining. Glenn has worked in the mining industry for over 30 years. 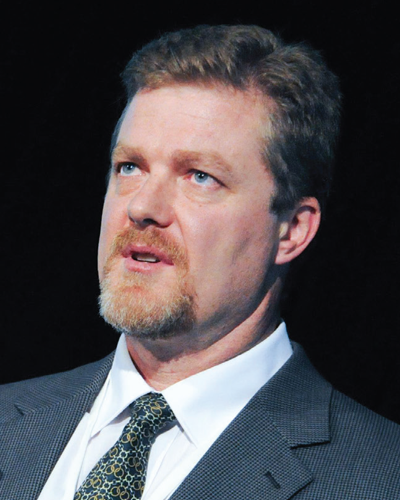 Prior to his current role he has held roles ranging from trade, maintenance, reliability engineering, projects to senior management positions with Alcoa, Minara resources, Iluka resources and Newcrest mining. In the last 15 years Glenn has held senior management roles in the area of Asset Management focussed on Strategy, Asset Management programs and processes and assurance. Glenn holds trade, bachelor, post graduate and masters degree qualifications in mechanical and business administration areas and holds certification as a CMRP, CFAM along with fellowship in the IEAust. 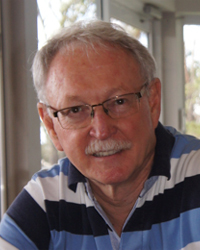 Glenn has been an AMCouncil and previously MESA member Since 1990 and has been affiliated with the Perth Chapter, Melbourne Chapter and now the Brisbane Chapter. 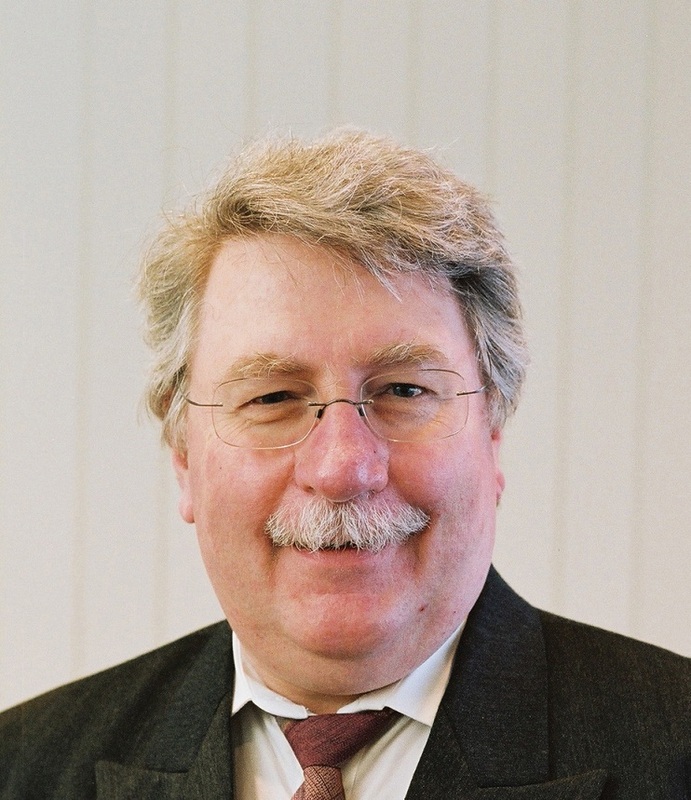 His roles within these association include Review team for Planner qualification recognition, Inaugural Chair and development committee of the Certification Scheme, an active Board Member since 2012 including Deputy Chairman AMCouncil board (2013 - 14) and is the current Chairman of the AMCouncil board (2014 - current). Ian is an experienced CEO / EGM with a background in the engineering and property sectors, with particular exposure to large scale operations and maintenance services and infrastructure projects. 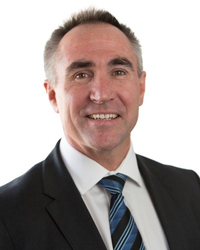 He comes to the Asset Management Council Board as the representative for AM Council Partnering Organisation Broadspectrum, where he is currently Chief Development Officer and CEO Defence,Social and Property. Ian has been with Broadspectrum (formally Transfield) since 2006 where he was CEO of the Project Management subsidiary APP then as Executive General Manager – Property & Assets, where he covered both Australia and New Zealand operations and maintenance for Defence and Social Services and construction for the Telecommunications industries. Gopi has 37 years of experience in asset and maintenance management area in facilities, rail, manufacturing, power generation, mining, power transmission, academic operation, research and industrial project finance in India, Australia, Indonesia, Malaysia, Singapore, China and Sweden. 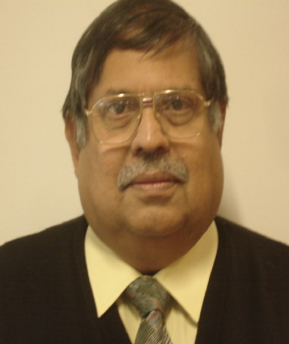 Gopi is now post graduate program coordinator for maintenance and reliability engineering (MRE) programs in Federation University, He was Principal Consultant for Asset Management in Cardno and Professor of Strategic Asset Management at the Central Queensland University (CQU) in recent past. 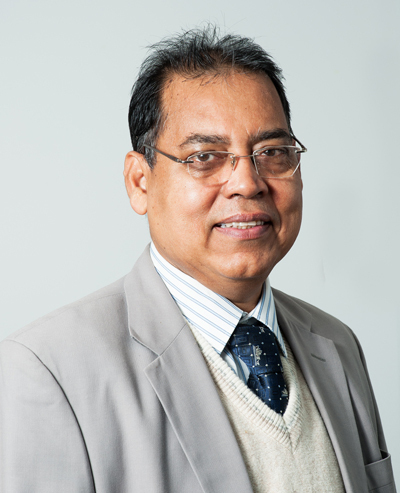 Since graduation in 1979 Gopi has worked as engineer, manager, consultant, lead researcher, professor and team manager in asset management and maintenance projects. He has undertaken asset and maintenance management, project appraisal, planning, procurement and contract management with Metal Box(I), IBP Balmer Lawrie(I), IFCI(I), QR, QRNational, ARTC, Rail Corp, LKAB, PERTAMINA and Swedish Rail. After starting his career with design engineering, Gopi moved to management services in industrial project financing and planning and later on moved to project management, operations management, asset planning and maintenance, quality systems, asset management, planning and procurement covering tender preparation, tender assessment, vendor development and contract management. Nicholas Phillips is a professional engineer with extensive asset management and maintenance engineering experience, specialising in the determination of asset support requirements, life cycle cost analysis and technical documentation requirements.Before joining MACE Consulting Group in 2001 maintenance engineering and asset management experience had been gained in the Rail (electric train, tram and overhead traction power), Water and Plastics Industries.Nicholas has extensive experience in Life Cycle Cost modelling including determination of resource loading, material sourcing, asset reliability and availability. Project management including tendering and bid preparation, contract negotiation and delivery. The development and implementation of maintenance management policy and plans including strategic maintenance policy, maintenance plans, maintenance facilities, provisioning, and configuration management. The conduct of asset audits and evaluations including condition assessment, plant safety and compliance with Acts and Legislation. 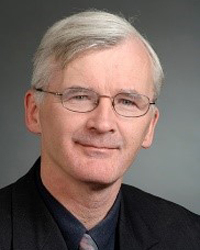 The management of corporate capital project budgets and major projects.Nicholas is a Fellow of The Institution of Engineers, Australia FIEAust) and has been the Melbourne Chapter Chair of the Maintenance Engineering Society of Australia (MESA) since 1996. Andrew has over 40 years of professional experience, including 32 years in senior management roles within local and state government agencies. He is currently employed as a Principal Strategic Asset Management Consultant with GHD and has worked in Australia, United States of America, Canada, United Kingdom and South Africa and currently holds the position of Chapter Chair Tasmania, for the Asset Management Council of Australia. Andrew spent four years as Program Manager, leading a consortium of major consulting firms in the USA in developing an asset management program for the City of Charlotte, North Carolina. Prior to this Andrew worked with the Brisbane City Council, Queensland, in the position of Strategic Asset Advisor, Andrew led a team in the award winning development of a web based knowledge management system that could be used by all Brisbane City business units for an information library on AM related topics. Following the initial development of the Brisbane web tool, a roll out was implemented to the Governments of Queensland and the Northern Territory. With the Water Environment Research Foundation (WERF) and Water Research Foundation (WRF) USA, for the past six years Andrew has held the position of Principal Investigator Program Manager for the development of the SIMPLE Tool, (Sustainable Infrastructure Management Program Learning Environment) for the two research foundations. Andrew is currently providing training in asset management through the Institute of Municipal Engineers South Africa for engineering and technical staff to all the major cities in South Africa. Mark is a highly qualified and experienced engineer with over thirty years’ experience in maintenance, reliability and asset management. 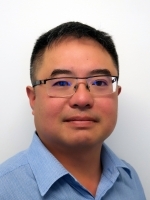 He is a Chartered Engineer, a Certified Maintenance and Reliability Professional and a Certified Fellow of Asset Management who is also a Fellow of Engineer Australia and an Adjunct Associate Professor. His knowledge and experience has resulted in him being elected as a board director for the Asset Management Council of Australia. 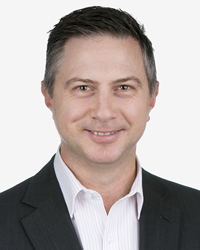 Mark has worked extensively in Australia and overseas in a variety of roles and industries. He has worked in multinational companies as well as specialist consulting companies where his technical and leadership advice is keenly sought and received. He has led a number of teams to provide tactical and strategic advice, governance and technical direction both internally and externally. He is an experienced facilitator and a sought after speaker who regularly presents technical papers and tutorials at national and international conferences. He also delivers university lectures to undergraduates and post graduates and provides training on behalf of the Asset Management Council of Australia. Mark’s experience and technical acumen gives him the ability to quickly grasp concepts and develop strategies to support business objectives. He is passionate about sharing his knowledge and experience with colleagues, clients and students. Kieran is married with three children and lives in rural Victoria. He has 30 years experience in the electricity industry having worked in a range of technical and management positions throughout his career. Current role is the General Manager Operations - Asia Pacific for URMC. Utility Risk Management Corporation specialise in provide risk and asset management services for a range of infrastructure owners in Nth America and are currently expanding operations into the Asia Pacific region. 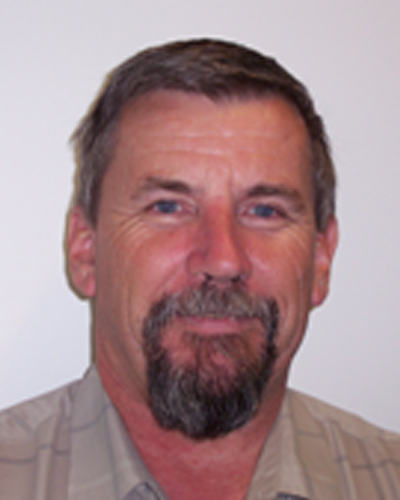 Previous to this he was the General Manager Western Australia for the Vemco group were establishing a busines operation and footprint for the group involved establishing and managing Electrical Design, Construction and Vegetation management operations. Within the Utilities industry Kieran has been involved in asset performance and asset management roles that focus upon the whole of life considerations of assets especially their financial and physical performance. He has spent time in both public and private sectors of the industry and was previously the Asset Manager for Powercor Australia. He has an MBA from Mt Eliza Business School and a Grad Dip of Business from Monash University. 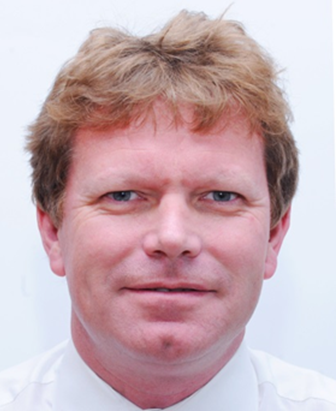 In addition to Michael's mechanical and electrical engineering qualifications, Michael holds formal qualifications in asset management and has over 25 years of experience in asset management, procurement, supply chain and ICT gained in a range of leading blue chip companies and top tier consulting organisations. He has led teams of up to 250, P&Ls of over $50 million, been responsible for asset bases of over $2.5 billion and has successfully lead the delivery of multiple high-profile enterprise-wide projects worth over $200 million in industries ranging from manufacturing and mining to commercial aviation and rail including a role as the Project Director on the biggest commercial aircraft repair ever undertaken. 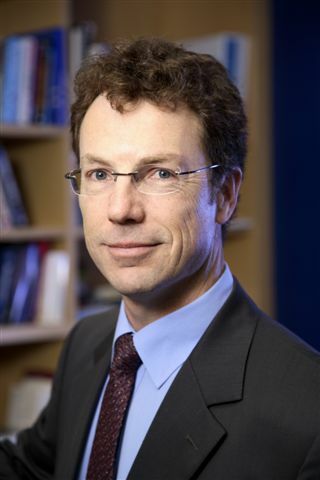 Michael has been involved in the development of a range of asset management models and assessment tools through his voluntary involvement in the Asset Management Council of Australia and is presently the Asset Management Body of Knowledge Commissioner for the Asset Management Council. Jim is a Mechanical Engineer (CPEng) with post-graduate qualifications in Risk Management and in Maintenance Engineering and Management from Swinburne University in Melbourne. He has over 45 years experience in maintenance and asset management in the aerospace, rail and power and defence industries. Over the last 27 years Jim has developed and delivered courses in Asset Management from 1 to 5 days duration to over 2000 managers, engineers and supervisors in a variety of organisations and universities around the world. Jim's 25+ years history with the Asset Management Council and its predecessors was recognised with his award of the MESA Medal in May 2004. 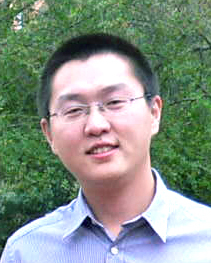 Ernst Krauss Qualifications: CFAM; CPEng; BEng (Electrical); Master of Technology, Grad Dip Reliability Engineering. Current: Providng Asset Management solutions across a wide spectrum of Asset Management elements to Organsiations. Immediate past position: Advisory in Asset Management, Reliability Management and Processes, Integrity, Operational Readiness. Consulting in Asset Integrity and Asset Management; Maintenance Management and Reliability. Previously: Principal Reliability Engineer, Production, Woodside Energy Ltd. Experience & Interests: More than 40 years experience in Engineering design, installation, commissioning and operations support in general and in Oil and Gas Industries, Mining and process Industries, specific interests are Asset Management, Infrastructure capability, Safety and Reliability Engineering, Asset capability assurance, Functional Safety. Apart from professional interests, Music, Literature, Photography, Visual Arts. Peter is a mechanical engineer who spent some 26 years in the Royal Australian Navy. During that time he championed the principles of asset management and developed and implemented the first CMMS used within the RAN. He left the RAN in 1996 and set up an asset management consultancy, that consultancy continues today. 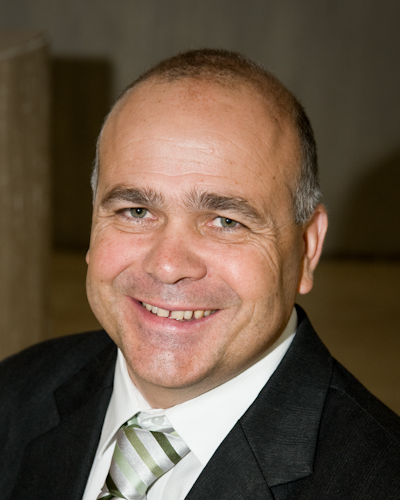 Peter is the AMBoK Commissioner for the Asset Management Council, in Australia. 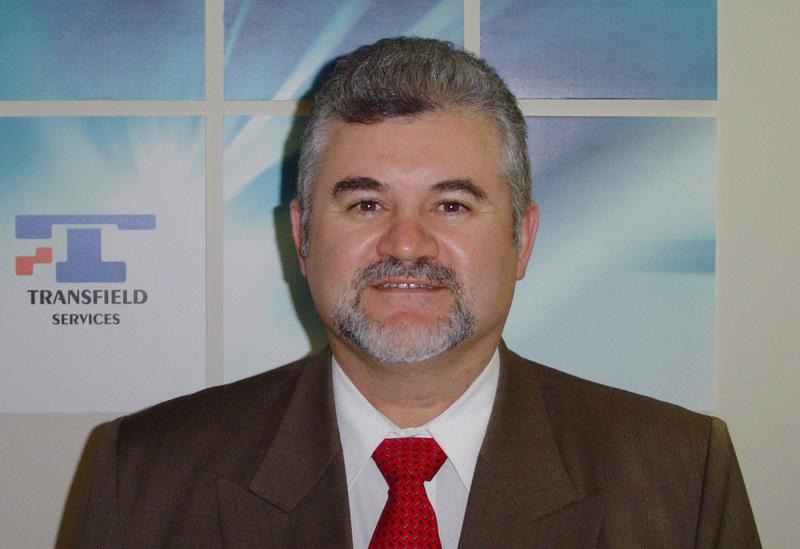 The role of the AMBoK Commissioner is to develop and steward the AM Council's asset management knowledge - hence his involvement in ISO PC251 for the development of the ISO 5500X series Asset Management standard, as well as his involvement with TC 56, the IEC's international Dependability committee. I am a member if the Institite of Asset Management (Uk),as well as the AMC and so hold dual AM nationality. I hold the certification in Asset Managment, To me AM is applied common sense, it should start at the top of the organisation and cascade down. I was responsible for the full implementation of an AMS within a multi utility in the Middle East, that provided me with valuable expereriences which I have utilised to the benefit of clients in later assignments. Julian’s expertise enable clients’ to realise maximum value from their physical and digital assets. He does this through an outcome based and inclusive approach to strategic asset management that harnesses innovations in data and technology to inform better whole life value for money decisions. Julian is a strategic thinker with over 20 years’ experience in engineering management disciplines. 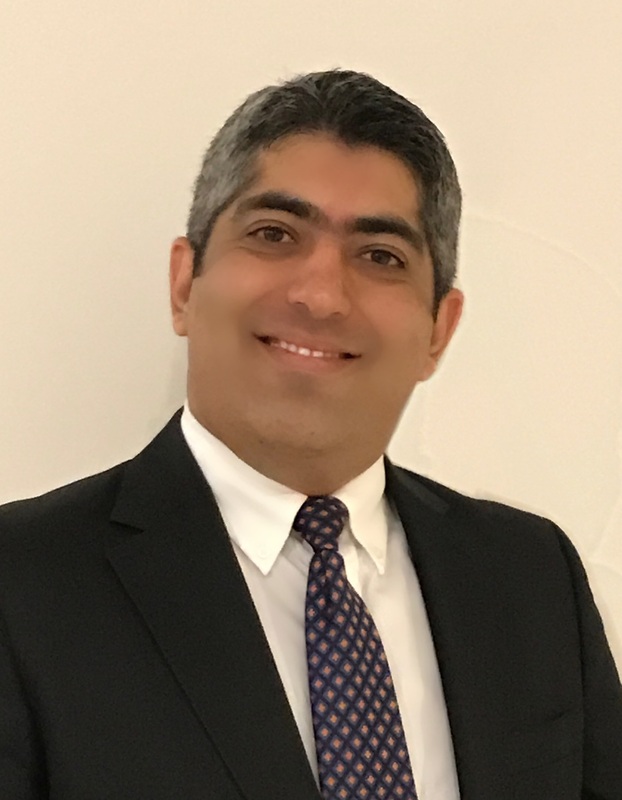 He has focused the last 13 years’ leading teams to develop client centric asset frameworks and strategies for energy, utilities, transportation and government clients across Australia, New Zealand, USA, UAE and the UK. Julian is recognised a Council Member of the Institute of Asset Management, an ISO55001 Endorsed Assessor and a Committee Member of the Association for Geographic Information. Julian regularly offers influential thought leadership to bring people along the journey of asset management excellence. ¦ Asset Information Transformation Strategy Lead for High Speed Rail. Engagement lead in a 4-year partnership for a GBP£60bn programme that included policy development, procurement readiness, up-skilling of staff and supply chain, benefit logic mapping and a 10 year roadmap with change implementation plan to embed asset information modelling capabilities and digital technologies. ¦ ISO55000 Management System Development Lead for UK Train Operating Company. Designed and developed an asset management system to ensure safety critical operations of a new franchise. Included identifying strategic, tactical and operational gaps of the management system and to design a roadmap to achieving ISO55001 certification. Provided direction to the delivery team in implementing the transformational roadmap. ¦ Enhanced Decision Support Asset Management Specialist for Rail Infrastructure Manager. Delivered the business case to realise over GBP£116m in CAPEX efficiencies in the 5 year electrification plan. Achieved by engaging with key stakeholders and end users to understand investment decision criteria for People, Processes, Information and Technology to drive better decisions and whole life value. ¦ Whole Life Cost Model, Business Requirements Specialist for Rail Infrastructure Manager. To specify and design a whole life, whole systems model for the economic value for money business case to support optimised decision making. Organisation wide engagement was achieved to capture business and functional requirements to align strategy, programme, costs, risks, BIM, engineering and future operations. ¦ Revenue and Capacity Modelling for Trail Operating Franchise Bid. Managed development of 15-year revenue and demand forecasting and crowding models. Provided direction for stations and depots asset management strategy to demonstrate a reduction in total cost of ownership. ¦ Asset Performance Improvement Strategic Advisor for Rail Infrastructure Manager. Analysed asset and operational failures causing train delays to identify changes in ways of working to improve performance for the strategic 5 year plan. Leadership was provided to develop site specific reliability management plans in collaboration with the train operator. ¦ Strategic Facilitator for Rail Regulator. Providing specialist asset management guidance to better develop performance measures for determining appropriate governance of train stations. This included how to measure improvements of customer experience and how responsibility can be transferred and measured by the outsourced operator. ¦ Asset Management Plan Development Lead for NZ Public Transport Provider. Developed and aligned an AMP framework centric to customer outcomes and long term community plans. Included facilitating workshops on levels of service, risk management and life cycle management. Included reviewing data from the asset systems and redefining asset hierarchies. ¦ Asset Investment Decision Criteria Principal Analyst for US Metro Transport Authority. Worked with senior stakeholders across the subway and bus departments to define investment decision criteria, information modelling and portfolio optimisation at the Business, Network and Asset Planning levels for the 2015-19 USD$26bn capital plan. ¦ Gap Analysis & Improvement Plan Project Lead for US Metro Transport Authority. Provided strategic direction to improve business efficiencies and confidence in decision making by developing an organisation wide ISO55001 asset management gap analysis improvement plans with implementation plan for the roadmap. This included the redevelopment of internal reporting framework processes that have become standard practice. ¦ Asset Management Capability Self-Assessment Tool for State Highways Agency. Developed a self-assessment tool designed for use by all Road Controlling Authorities to illustrate the influence that data and analysis have on decision making with the ability to benchmark results. ¦ Long Term Financial Forecasts for Local Highways Authority. Developed financial forecasts to be used in the LTCCP and LTP Online process. This demonstrates the ability to understand business needs and provide direction to achieve an advanced level of asset planning. Also liaise and interpret requirements between Council relationships. ¦ Traffic Management Unit System Review for National Transport Agency. Defined requirements for a status reporting system on projects, programmes and portfolios including the ability to record staff and contractor cost and time spent on the projects. Engaged with staff and recommended potential systems to be used as a basis for system testing. ¦ Asset Valuation Delivery Lead for State Highways and Local Roads. Led the revaluation and insurance assessment of treatment and distribution assets and provide recommendations based on findings, including reviewing EAM data to analyse asset hierarchies and spatial analysis of renewals. Included further optimisation of renewal locations, deterioration curves that significantly improved how the authority forecasts capital renewals. ¦ Gap Analysis & Improvement Plan Project Lead for Multiple Water Authorities. Provided strategic direction to improve business efficiencies and confidence in decision making by developing an organisation wide ISO55001 asset management gap analysis improvement plans with implementation plan for the roadmap. This included the redevelopment of internal reporting framework processes that have become standard practice. ¦ Asset Management Plan Development Lead for Multiple Water and Wastewater Providers. Developed and aligned an AMP framework centric to customer outcomes and long term community plans. Included facilitating workshops on levels of service, risk management and life cycle management. ¦ Mobile Workflow Management System Project Lead for Water and Wastewater Authority. Captured requirements for operational teams to categorise requests from customers to dispatch to appropriate utilities field staff and receive intermittent updates. This implemented the ability for effective KPI reporting including contract and field staff management. ¦ Valuation Delivery Lead for Multiple Water & Wastewater Providers. To undertake revaluation and insurance assessment of treatment and distribution assets and provide recommendations based on findings, including reviewing EAM data to analyse asset hierarchies and spatial analysis of renewals. Included further optimisation of renewal locations, deterioration curves that have significantly improved how the authority forecasts capital renewals. ¦ Business Case Development for Hydro Site Identification. Identified a short list of optimal potential hydro sites from 130 locations spread over 150,000 km². Included spatial analysis of all relevant land features, downstream affects, site assess issues and development of 3D visualisations in to illustrate terrain. ¦ Gap Analysis & Improvement Plan Project Lead for National Museum. To provide strategic direction to improve business efficiencies and confidence in decision making by developing an organisation wide ISO55001 equivalent gap analysis improvement plans with supporting project sheets to implement recommendations. This included the redevelopment of internal reporting frameworks and interview processes that have become standard practice. ¦ Property Asset Management Plan Development Lead. Developed and aligned a Property AMP framework centric to customer outcomes and long term community plans. Included facilitating workshops on levels of service, risk management and life cycle management. Included reviewing data from the property system and redefining asset hierarchies. ¦ Asset Policy Lead Reviewer for Train Stations and Operational Property Manager. The lead reviewer for a rail operator’s customer performance data to redevelop asset policies. This provided insight into the confidence of renewals plans robustness and sustainability to support the regulators required 18% CAPEX reduction in the 5 year strategic business plan. ¦ Asset Performance Improvement Framework Strategic Advisor. To analyse asset and operational performance of the infrastructure and how the 5 year work plan would impact performance. Following this leadership was provided to develop site specific performance and reliability management plans. ¦ Regulator’s Strategic Facilitator for Stations Performance. Providing specialist property asset management guidance to better develop performance measures for determining appropriate governance of the estate. This included how to measure improvements of customer experience and how responsibility can be transferred and measured by the outsourced operator. ¦ Enterprise Asset Management System Requirements for Multiple NZ Local Authorities. Lead reviewer of AM processes and data quality of existing systems for Airports, Parks, Property, Roads and Waters. Developed tenders and arranged vendor presentations to assess compatibility against requirements. Provided recommendations on how to improve the use of applications, data confidence and decision making ability to transform the way Council coordinates asset ownership. ¦ Vulnerability Assessment Project Lead for City Infrastructure. Led a team of Council staff in identifying and recording critical assets that would be potentially vulnerable during different natural disaster events that delivered a register of assets and geospatial files to the regional Lifelines Advisory Group and informed emergency response procedures along with securing funding for asset improvements. ¦ Enterprise Asset Management System Requirements Lead for UAE Government. Developed predicative analysis and asset intervention requirements for an EAM in the Middle East. Developed a tender and arranged vendor presentations for supplier selection. Recommended improvements in decision making ability that transformed coordinated asset ownership. ¦ Asset System Strategy Developer for UK Hub Airport. Translated business requirements for an international hub airport into technical asset system strategies. Included separation of the water distribution and fire supply networks. Defined the systems purpose, information requirements, whole life value requirements and renewals selection criteria. An Industrial Engineer with 15 years experience paired with an MBA, Anselm has worked across a range of industries and companies. Exposed to the manufacturing and R&D environments of the automotive industry worldwide for the first half of his career, he gained an appreciation for quality and business management. His Australian experience revolves around infrastructure assets in the utilities and mining industries where he currently works. Anselm is the Deputy Chair of the WA Chapter of the Asset Management Council. He is also actively working in Building Information Modeling (BIM) and "Digital" Asset Management area and their mutually-supportive relationship in enabling operations to achieve an effective asset management. He is delighted to share his knowledge and experience with colleagues and clients. 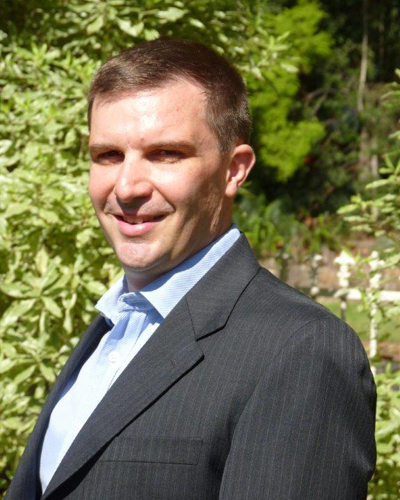 Paul is the Group General Manager for Asset Management & Implementation at Transfield Services. He is responsible for identifying, developing, sharing and implementing Best Practice process in relation to Asset Management & New Business Implementation throughout Transfield Services as well as winning and implementing business in new markets and implementation and transition of new businesses & contracts & integration of acquisitions. Paul has extensive experience in Maintenance & Asset Management, Contract & Business Management, and Change Management in various industries including Oil & Gas, Mining & Mineral Processing, Infrastructure and Facilities Services and has worked throughout the UK, Australia, New Zealand, Asia, the Middle East, and North & South America. 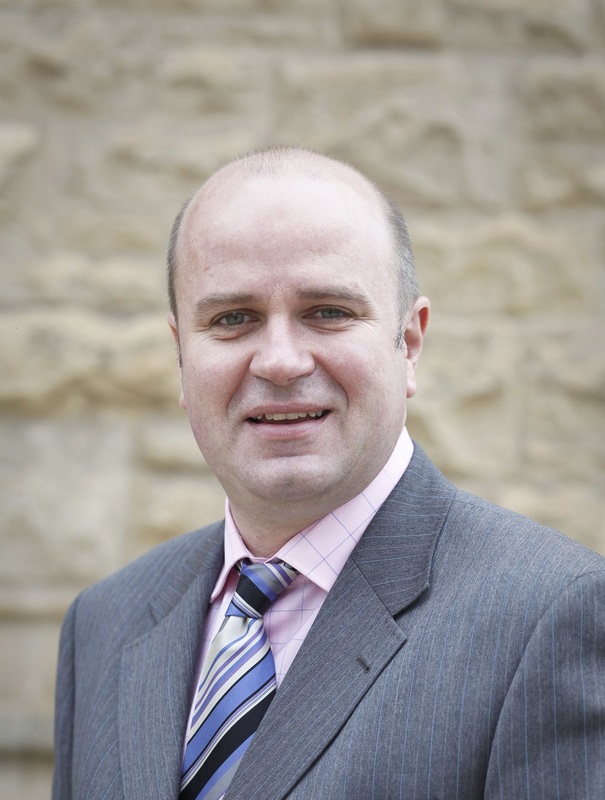 Paul joined Transfield Services in 1999 and has held a number of senior management roles. 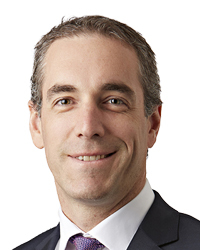 He is currently the Transfield Services nominated Director of the Asset Management Council. Mo is an MBA graduate from Melbourne Business School, with an Industrial Engineering background. He has seven years of local and international experience in FMCG and asset management. Mo manages the AM Council's technical projects and the AMPEAK technical content. Outside of work he enjoys fitness, working on his 3D printer that he assembled himself and building robots. Peter is an Electrical Engineer with 40 years experience in asset management, risk management, maintenance management, and electrical power and control systems engineering. 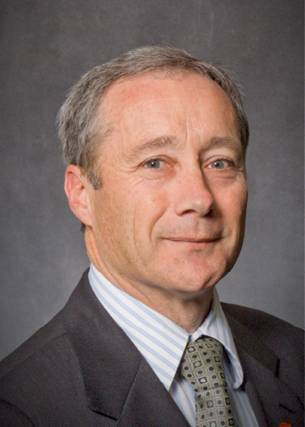 He was responsible for much of the conceptual and technical development in maintenance and asset management and at Hunter Water since 1994, and is the conceptual designer and joint author of the Australian Water Industry’s internationally recognised asset management benchmark system, Aquamark. 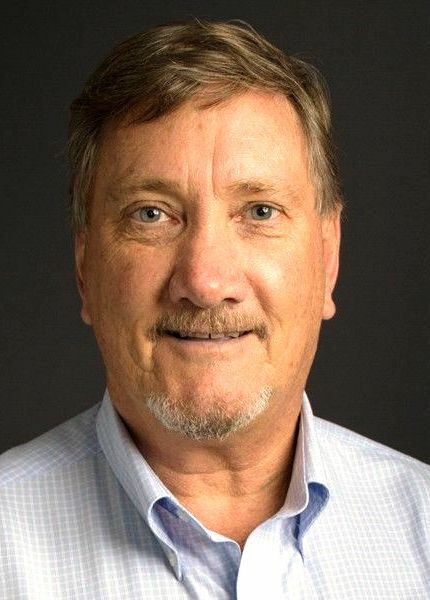 Peter has held office MESA/AMC over the past 20 years, including as National Chairman and Technical Director and has published extensively, and presented frequently on Maintenance and Asset Management. He retired from his position as Manager Assets Policy at Hunter Water in 2007 and now runs a small consultancy specialising in life cycle management for capital fixed assets. 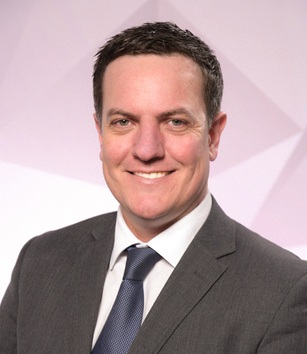 Phil Clarke has a Bachelor of Science in Mechanical Engineering Degree and a post graduate Master of Engineering Science Degree in Engineering Management. He is a Chartered Professional Engineer and a member of Engineers Australia, the Asset Management Council (Australia) and the Project Management Institute. He is an Aladon certified Reliability-centred Maintenance (RCM2 & RCM3) Practitioner and has had a thirty-year career in asset management consulting in Australia, New Zealand, the United Kingdom, and Asia. His assignments have included; asset management system development and implementation; RCM training delivery, facilitation, and implementation; Integrated Logistics Support (ILS) through life support analysis; and asset management and maintenance audit and performance improvement programmes. His industry experience includes; commercial aviation; rail rolling stock and infrastructure; petro-chemical; mining; defence (land, sea and air); and electricity and water utilities. Asset and maintenance management professionals must argue the case for the importance of the discipline in Australia’s boardrooms and help educate directors in how asset management adds value to a business says John Hardwick, AMCouncil representative and current chair of World Partners in Asset Management (WPiAM) chair of . This is as much a reflection of the financial contribution that asset management can make to an organization, as it is of the way in which the practices and methodologies of the discipline have evolved in barely a decade. 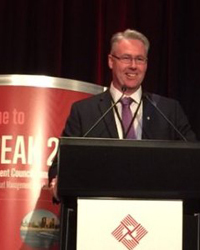 Having seen many significant changes in the evolution of the Asset Management Council since 2005, Mr. Hardwick also signals the need to “re-engage with our roots and the maintenance engineers whose vision helped establish the Maintenance Engineering Society of Australia. “Maintenance and the information gathered from maintenance activities are the foundation of the effective technical and financial management of assets, “he said. It is also time for the Asset Management Council to engage on a world stage as similar professional bodies espouse global identities. “We need a clear understanding of the skill sets that asset and maintenance engineers might have, depending on where they were trained. With similar professional bodies we need to share knowledge about our membership, our training courses and about the organizations which sponsor us. We need to speak a common language,” he said. As one of the first steps towards these objectives, he will soon oversee the launch of AMC certification of individuals in various areas of asset management. Mr. Hardwick is executive manager, maintenance and replacement planning with Energy Australia (NSW), a state-owned corporation whose shareholder is the NSW Government. Working for one of the largest energy suppliers in Australia, Mr. Hardwick is responsible for the strategic management of all Energy Australia (EA) network system assets. His office must be able to justify the company’s network system assets, both from a financial and a technical perspective, with the Australian Energy Regulator which oversees all east coast energy companies. “We need to prove the efficiency of assets in order to obtain funding,” Mr. Hardwick says. He says working in a non-competitive environment in many ways has helped highlight the importance of asset management and encouraged him and his EA colleagues to share their knowledge with other government and commercial organizations for whom a return on the value of their assets might be seen as even more important. 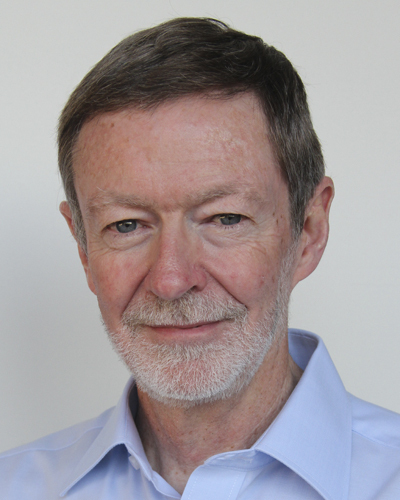 John Hardwick brings a decade of membership to the national chair, having joined MESA when he was assigned to implement new maintenance standards for Energy Australia. 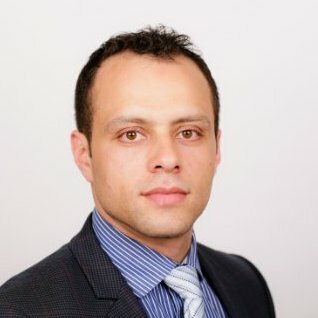 “At that time no one in the electricity industry had the required tools, techniques and audit capabilities so I looked to a professional forum in which knowledge could be exchanged. “The benefits of membership quickly became obvious. One could embrace an industry-wide view of where other organisations were heading with asset management because MESA and the Asset Management Council are cross-industry. Membership enables one to stay at the forefront and influence the direction of asset management.” He recalls that it took some time for EA to value membership of MESA because initially he was seen as being involved purely for the acquisition of technical knowledge and skills. “In the same way that financial management is not just about accounting, asset management is not simply about technical knowledge and skills, “he said. His first official role at MESA was to chair the Sydney chapter followed more recently by a year as vice national chair. Over the period of his membership, John has presented at numerous conferences and meetings. 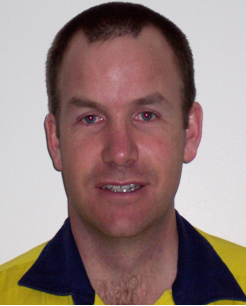 He was the 2002 recipient of the MESA Steve Maxwell Leadership Award and in 2005 led the team which received the Australian Maintenance Engineering Excellence Awards. Martin is a Certified Fellow in Asset Management (CFAM) and a Certified Asset Management Assessor (CAMA). 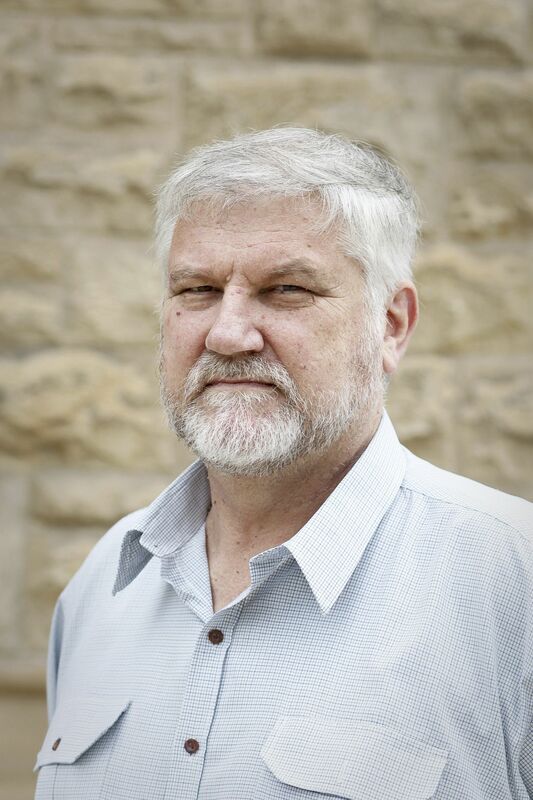 Martin is the founder of Structured Change Pty Ltd, Co-author of Living Asset Management Maturity, an active AMBok team member and an Asset Management Maturity Assessor for the Council. Martin spent his first years on the tools as a Fitter Machinist before moving into automation and later software design of Asset Management systems. 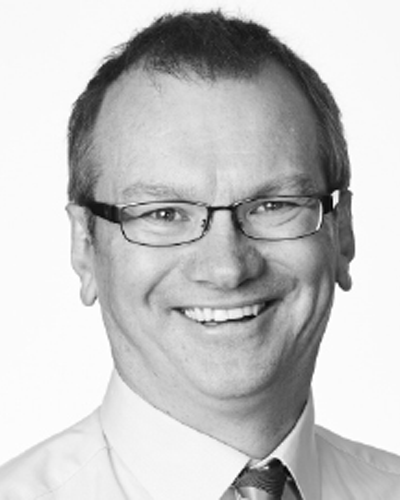 Martin has held senior roles in Business Improvement and EAM including time as a CEO at a maintenance organisation. In his spare time, Martin is active in Surf Life Saving and is Club President at his local club. This has given Martin experience in the implementation of Asset Management principles and systems in Not For Profit organisations. Martin is passionate about Change Leadership in Asset Management and is a regular industry speaker on Change, Leadership and Culture. Jamie is an asset management practitioner with over 25 years’ industry experience working with various Government agencies covering Defence, Power generation and distribution, Environmental, Emergency Services, Arts and Culture, the Justice System and the Department of Finance. His responsibilities have ranged from independent remote site infrastructure auditing to managing multi-disciplinary capital works and maintenance programs, process and software program implementation as well as designing Enterprise Asset Management Business Processes. His recent work with the NSW Department of Finance involved collaboration with NSW Treasury and the Asset Management Council to produce the NSW Enterprise Asset Management Business Process aligned to the ISO55000 series for Asset Management. These business processes are now the standard for all NSW Government agencies. 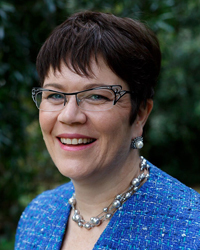 In 2011 Jamie received the Australian Endeavour Executive Award for Organisational Management through the Dept of Austrade, culminating in a scholarship to study Asset Management practices in the UK. And in 2016 he achieved Certified Asset Management Assessor (CAMA) status through World Partners in Asset management. 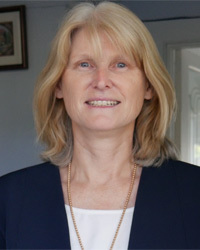 Wendy McPate is an electrical engineer with over 19 years experience in both Australia and the United Kingdom. She offers a breadth experience across a diversity of business environments, including both private and public sectors and consulting engineers. She has worked in the water, wastewater treatment, mining, power generation and chemical sectors. She has a proven track record for delivery with a particular focus on Asset Management, electrical and control systems engineering, project management, maintenance optimization, due diligence and risk management. She has demonstrated skill in navigating complex client environments for the achievement of desired objectives. In 2013 she was awarded a scholarship for the Advanced Leadership Program 2013 (Women & Leadership Australia). She is passionate about the promotion, encouragement and support of women working in engineering and was a founding member of the Queensland University of Technology (QUT) Alumni Women in Engineering Chapter. She is also an active member of the QUT mentoring program. 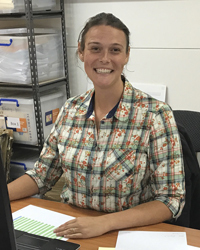 Wendy is currently a key player in the asset management functions at Stanwell integral to the development and implementation of their Asset Management System. She is a member of the Asset Management Council AMBoK team and the assistant asset manager for the Asset Management Council's training course material. 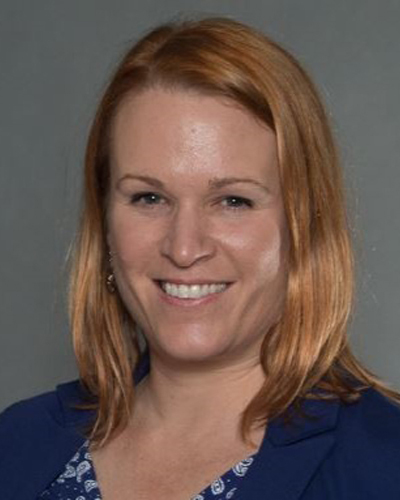 Wendy has a Bachelor of Electrical and Computer Engineering, an Associate Diploma in Electrical Engineering (Distinction) and is currently completing a Graduate Certificate in Asset Management. Outside of work, Wendy is a Mother with two young daughters. Johann Taylor is a mechanical engineer and graduated from the University of Pretoria in South Africa after which he started his career in electrical power generation. Since then, he worked in various organisations in various operational and consulting roles in South Africa and Australia and provided services to mining, defence, rail, manufacturing, oil and gas, power generation, infrastructure and food and beverage industries across many countries. Johann has extensive experience in implementing asset and maintenance management improvement practices and has supported many organisations with improving the productivity of their people, processes and physical assets. Johann currently works for BHP, Manager Strategy Development in the MCoE (Maintenance Centre of Excellence) in Brisbane. Kai has a master’s degree in Business and IT from the University of Melbourne, as well as a bachelor’s degree in Science and Chemistry. He is the Information Manager with the Asset Management Council, he is in charge of developing the AM Council website front end and back end. Kai also manages the Asset Management Council’s membership. Outside the AM Council, Kai enjoys camping, running and bike riding.